librarycamp: 11 sleeps until Library Camp! 11 sleeps until Library Camp! After months of labour it’s getting close and it’s time for you to think about your contributions. Get your thinking hats on, think about your session proposals, get your baking tins out, connect with other attendees via the wiki or the #libcampuk12 tag. Have you booked your transport yet? No? There are travel directions on the wiki too. Visit to find out where to go and also to possibly find a travel buddy. We’ve had a few more cancellations this week so we've been able to release more tickets to the waitlist. 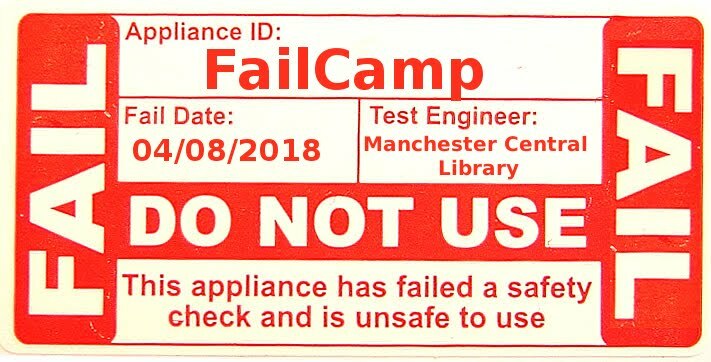 It’s important that you let us know if you can no longer make Library Camp, so that we can give your ticket to someone on the waiting list. LibraryCamp is best when it’s kept “fresh” and we hope that if there is to be a LibraryCamp 2013 new organisers will get involved, with support/advice as necessary from previous organisers. So please do think about attending the How to Organise a LibraryCamp session so we can look at how that might be made to happen. If you are not attending this Library Camp but still want to help organise one please get in touch! You can as always contact us at librarycamp@yahoo.com or via Twitter @librarycamp if you need to know anything about the upcoming event.